By merging research aimed at understanding the operation of real estate markets and property finance and investment with a broader urban social science perspective, this book will attract interest from both real estate and urban programmes. It will have an international flavour and a strong policy component. The book starts with an examination of the development of a global system of cities, the urban hierarchy and the development of international financial cities and the global financial system. The role of technology (particularly relating to information exchange and digital capital flows) is considered: what does this do to spatial patterns and the need for cities ? It draws on the global cities literature – but in a critical way – and on the regional and urban literature of the new economic geography. This creates the arena for the office markets under consideration and establishes the principal sources of demand for space. 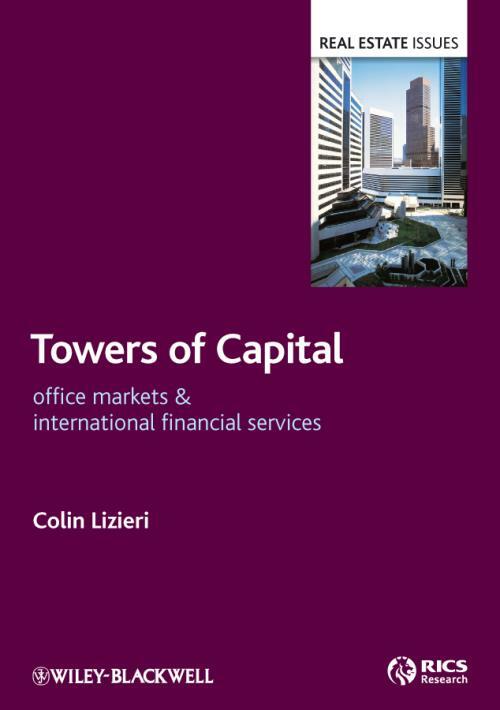 The second part of the book turns to consideration of the mechanics of the office market keeping the focus on prime (class A) office space found in the IFCs. The boundaries between the chapters is somewhat fuzzy (because of the dynamics and feedback effects that exist). The relationship between demand, supply and rents is considered, using the modelling literature to examine rent setting and rental adjustment processes: these reactions mediated by the institutional structure of the market. Next, the supply side is considered explicitly, looking at the developer s decision and the role of urban land use planning. Finally, capital flows into and out of the real estate market are considered. The contribution of this part of the book is largely synthesis but it follows from the urban context introduced in Part 1, rather than being simply an abstract modelling exercise. The emphasis on price formation and investment flows as driving factors distinguish it from the critical urban social science literature on the development process. The book then drills down into the structure of the market by examining the processes of change in ownership structures and in financial vehicles. This is the key to understanding the dynamics of office markets in major cities. The fragmentation of ownership and the different, monetised, vehicles for channelling capital into real estate, the partitioning and sale of different components of cashflow and the rise of new debt vehicles and debt recycling opportunities will be considered. These innovations have implications for the risk, return and liquidity characteristics of real estate which, in turn, have implications for portfolio strategies and capital flows which now need to be considered in international, rather than purely domestic context. Those capital flows have real spatial impacts in enabling (or constraining) supply of space for occupation. The final part of the book synthesises the findings of the first three sections by looking at cyclical behaviour in the office markets of major cities. The conventional literature on office cycles is considered critically; then the impact of the innovations discussed in Part 3 are considered. In international financial centres, the splintering of ownership and cashflow is allied to a locking in of investment, ownership, financing, funding and occupation that creates potential issues of systemic risk. At the same time, there are efficiency gains and, in principle, improved transparency. The balance between these additional risks and gains can shape the trajectory of major office markets going forward.